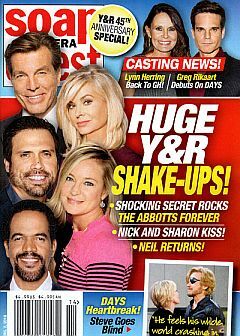 To Y&R alums on other shows, what is your best Y&R memory? Small tear on the rear cover, affecting nothing described above. VERY GOOD condition with no missing pages or creases. Click to be notified when 4-2-18 Soap Opera Digest KELLY MONACO-BILLY MILLER is back in stock!